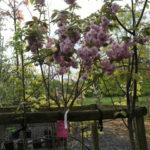 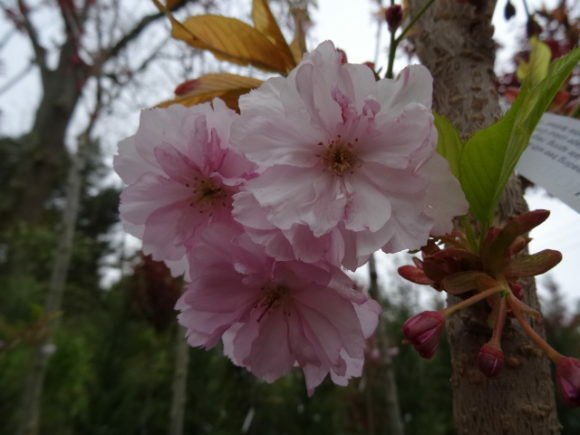 Prunus ‘Kanzan’ is a medium sized deciduous tree, with a broadly vase-shaped habit when young, but taking on a more spreading habit as the tree matures. 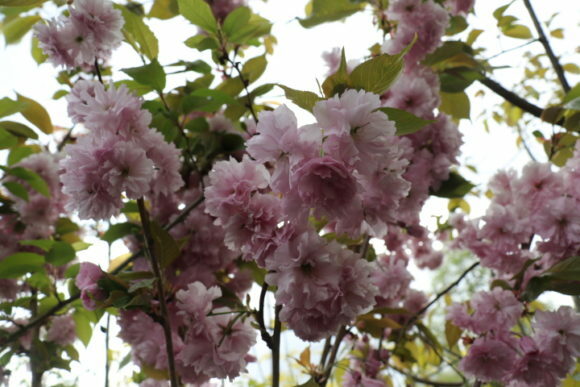 In spring, large, purplish-pink double flowers appear which open from crimson buds. 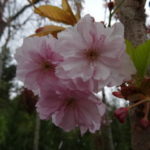 The bronze young foliage turns green in the summer. 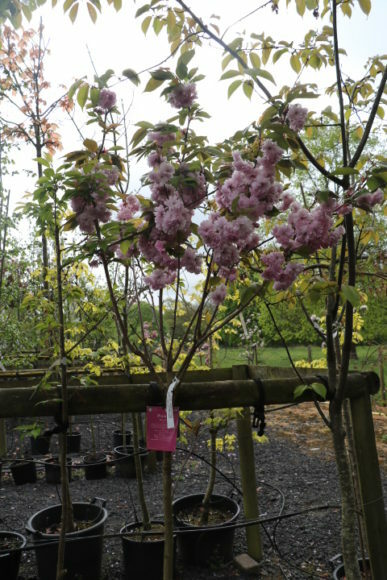 Prunus ‘Kanzan’ can be planted in full sun in either a sheltered or exposed position. 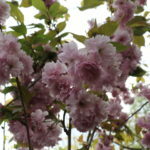 It prefers a moist, well-drained soil and has an eventual height of 8-12m and a spread of 8m+.